We are proud of our huge range of used Peugeot cars for sale, and with more than 5 decades? 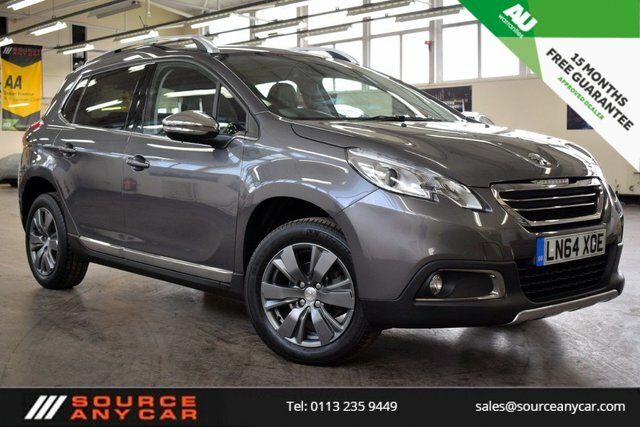 experience in sourcing, buying and selling quality second-hand cars in Leeds, Source Any Car Ltd is the best place to visit when shopping for your next used Peugeot car! Whatever the price, style, model or colour, Source Any Car Ltd has a committed team of car enthusiasts at hand to help all our customers find their perfect car, at an even better price! Of all the brands in our showroom, Peugeot is one of our best! From a series of basic city runabouts through to more refined and comfortable sport utility vehicles, Peugeot is an automaker capable of meeting the high demand for powerful yet pretty motors of any style or build. Family is at the core of every vehicle manufactured by Peugeot, with the sporty 208 being the most popular model circling the second-hand market to date. Find your next used Peugeot car at Source Any Car Ltd by visiting our Leeds showroom today.